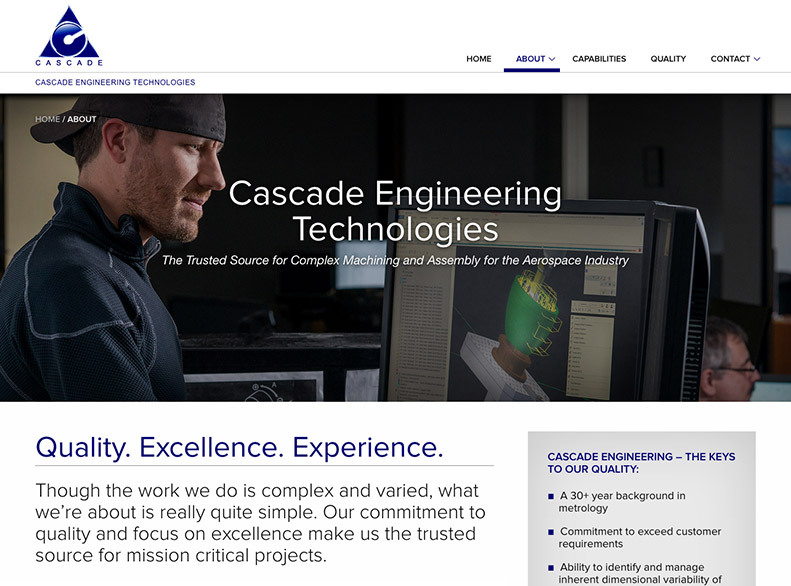 Cascade Engineering Technologies is a contract manufacturing company in Oregon specializing in high-tech aerospace components. 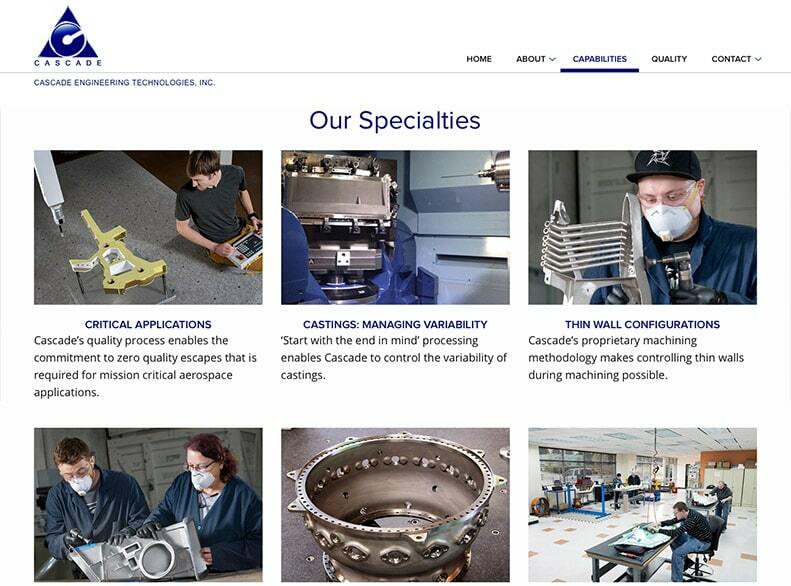 Their clients include major aerospace and defense companies across the United States. 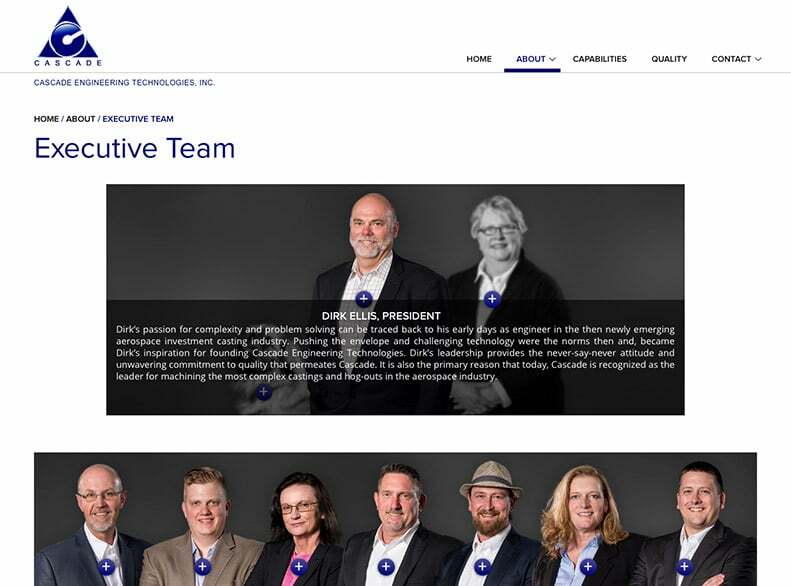 The company partnered with Bourke Design to launch a modern business website. 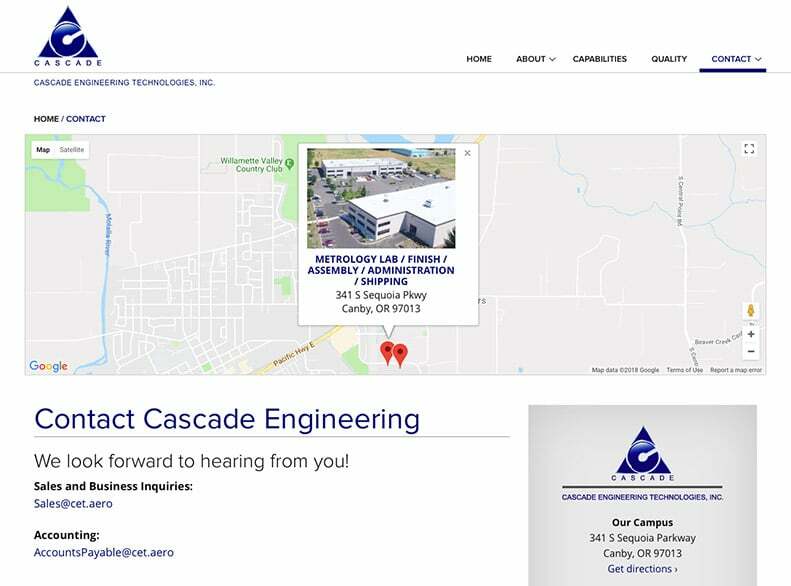 During the project, we commissioned stunning photography from Edis Jurcy. 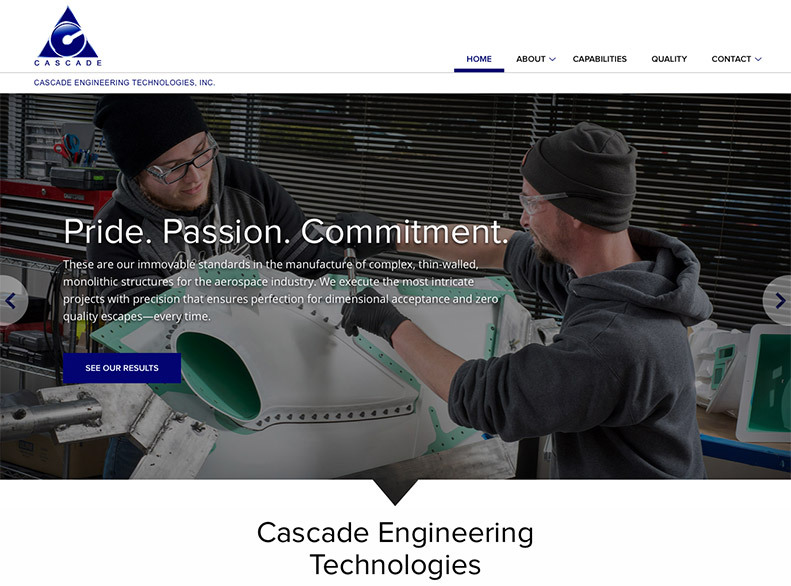 The new CET.aero allows Cascade Engineering Technologies to better connect with prospective clients and employees, build credibility online, and share its brand with a broader audience.